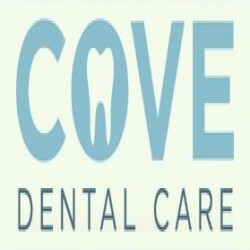 Cove Dental Practice was opened in July 2009 in Catto Walk, Aberdeen and offers dental care for both adults and children under the NHS. The practice also offers private care for those who wish. The original practice was opened with five surgeries however as the demand has grown so has the practice and it now has eight surgeries. The practice offers a full range of preventive and cosmetic dentistry and seeks to support the NHS in ongoing work to improve Oral Health in the local area. Relax in a friendly and quality driven NHS dental surgery with bright and open space for children and adults. Our concern is with the Oral health of our patients and our goal is to provide the best service to give people a confident smile. We promise a dynamic team, excellent customer service, clinical excellence and high quality care. We work on the Art of your Smile. Children: We would encourage children to come as soon as possible. We seek to enhance the oral health and welfare of every child in our care. The emphasis is on prevention and the practice provides an atmosphere for children to enjoy there experience and to benefit from caring professionals. Adults: Dental Hygiene is a priority we wish to encourage in every adult. We seek to offer surroundings that provide quality care with a level of excellence in our work. We encourage regular check ups and deal with issues before they become serious problems using new technology and techniques to improve your dental health.